For many who have been abused – by a priest, or any other authority figure – feelings of happiness and success can be hard to come by. Abuse can take the foundation out from under you, leaving powerlessness and helplessness as the norm. I struggled for years after my abuse to find my own sense of strength, power and joy. To help survivors and anyone struggling to feel whole, my friend, and fellow survivor, Joelle Casteix, of The Worthy Adversary, has just published, The Power of Responsibility: Six Decisions That Will Help You Take Back Happiness and Create Unlimited Success. I’m currently reading The Power of Responsibility and learning a lot. 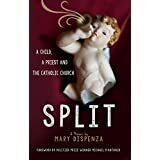 I’ll be reviewing the book on Amazon and I’ll also posting a full review here on Mary Dispenza in the next couple of weeks. The Power of Responsibility is not a book about survivors, or specifically for survivors. It’s for anyone who wants to be happier, stronger and more successful. But it will be extremely helpful to those dealing with the after-effects of abuse. So join me, jump on this opportunity to grab a copy and read about the power of responsibility – something we can all profit from. The Kindle edition is just 99 cents this week. After you’ve read it, leave a comment here to let me know how it helps you. I look forward to discussing Joelle’s book and her ideas for how we might all find power in taking responsibility for our success. And pass the word about this great resource to anyone you know who might be seeking to increase their own sense happiness. Those of you with children will also want to check out Joelle’s previous book The Well Armored Child, an excellent guide to giving your child the tools he or she needs to avoid abusive situations and people. There’s nothing more important than to help coming generations avoid becoming victims. For more information on Joelle, her work and her books, visit TheWorthyAdversary.com.